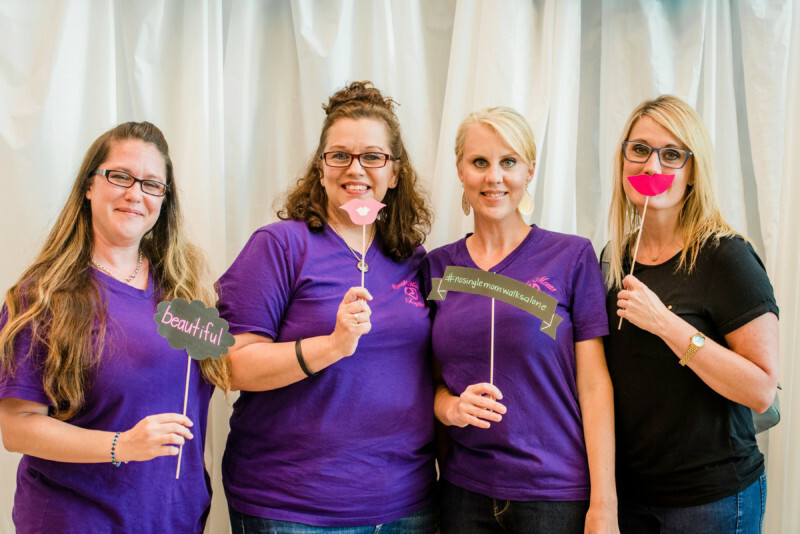 The Life of a Single Mom Ministries has been hosting single mom events for more than a decade in partnership with many churches, community groups, government organizations, and corporations. Our national single moms’ conference is one of the largest single mom’s event in the United States. We’ve learned a great deal through the years on the things that need to be considered as you embark on this endeavor and we wanted to share them with our church partners. Determine Who, What, When, Where? Where will the event be held? Times? Who will speak? Book your speaker ASAP. They usually book months or years in advance. Put together a planning team. Volunteers will make the load much easier for you. A core team will lead the project and a volunteer team will be the extension. Establish the core team now. Will there be music? Worship team? Soloist? Determine whether or not you will offer childcare. We highly recommend childcare for any single parent event. It is almost impossible to have a successful event without it. Who will provide the childcare? Church staff? Volunteers? Youth Group? Will you be recruiting volunteers for the childcare or will someone else be responsible for it? How will you feed the children? What will you feed them? Time? What is the drop-off/pick-up procedures? What are open & close times of childcare? (Important to notify moms of when childcare is opened and closed). What ages will childcare begin and end? (We recommend 6 weeks-8th grade). Will you be serving food at your event? (Hint: This is a huge barrier for parents when food isn’t served. We highly recommend serving a full meal to moms and kids). Will you serve it buffet style or plated seating? Will you order food? Potluck? Cook food on site? Who will pay for the food? You? Volunteers? The Church? Social media campaign. Do it early and often. Put information on your website as soon as possible. Create flyers for distribution throughout town. Determine whether you will require sign-up and advertise that early. Local media- newspapers, newscasts, radio, and magazines will offer free community event advertising. Church bulletins or Sunday announcements at church. Visit thelifeofasinglemom.com for lists of 50 places to find single moms. Determine where you will need volunteers. Some considerations may be: set-up, clean-up, prayer team, food service distribution and clean-up, childcare, greeters, prayer team, registration team. Schedule at least one volunteer meeting prior to the event, so that all volunteers are properly trained, assigned, and knowledgeable about the event. Make sure every volunteer has a “lead volunteer” who can be contacted for troubleshooting. The last thing you need is every person on site trying to contact you. There should be a lead team surrounding the primary leader who can assist with most challenges. Make sure volunteers are kind, compassionate, helpful, and prayed up for the event! Need to start a Single Moms’ Ministry in your church or Improve an Existing One? Click HERE. Pray more than you do anything else! Will you purchase event insurance? This is not a requirement, but has become a best practice for most churches and nonprofits to ensure proper coverage for unforeseen incidents. Prepare a welcome basket and honorarium (speaker’s fee) for your special guest speaker. Provide your speaker with a host that can accommodate his/her needs, greet him/her when onsite and ensure he/she is safe and comfortable. Print a detailed itinerary that every volunteer leader has, so that they can help direct all the volunteers and even the attendees for what is happening next. (This is especially important for large events). Consider having door prizes and giveaways to create excitement. You can often get these for free from area businesses! Have a plan for follow up. Collect names, emails, and phone numbers. Be sure to send an email or make a call after the event to thank attendees for coming and get them connected to your single moms’ ministry in your church. If you don’t one, you need to start one, as this will be a primary way that moms will connect long-term and be disciple after your event. IM A SINGLE MOM IN DALLAS,TX., THIS IS A GREAT MISSION AND ALSO IT WILL HELP TO RESTORE US,INSPIRE WOMAN , ALSO INSPIRATIONAL. I HAVE BEEN THROUGH ALL WALKS OF LIFE LIKE MYSELF,I EMBRACE MY JOURNEY WITH OPEN ARMS,FOCUS ON POSITIVE,MENTOR TO INSPIRE CHILDREN, GIVE BACK BY VOLUNTEERING IN THE COMMUNITY, VOLUNTEERING AT CHURCH FEEDING THE HOMELESS , AND MOTIVATING OTHERS TO NOT GIVE UP, I KNOW WHAT ITS LIKE TO BE HUNGRY,HOMELESS,SINGLE MOTHER,I AM A RESILIENT LADY,WOMAN OF COLOR,INSPIRED BY THE LORD,SELF LOVED, THANKING GOD FOR BROKEN SYSTEM,AND NO SUPPORT AN MY STRUGGLES TO SURVIVE. NOW I NO LONGER WANT TO COMMIT SUICDE TO STOP THE PAIN . SET UP FOR MY COME BACK.